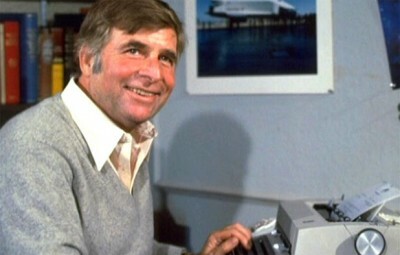 Posted on 06/29/2011, in Rod Serling and tagged Gene Roddenberry, Rod Serling. Bookmark the permalink. 5 Comments. This is so cool! When I met Rod Serling’s daughter I asked her if she knew if her Dad was friends with Gene Roddenberry. When she said he wrote his eulogy, I told her I was friend’s with Gene’s son, Rod. They were such contemporaries, how could they not have high regard for one another and each other’s work? Thanks, Mary! I’m glad you liked the post. You’re so right — how could they NOT like each other’s work? Serling was very complimentary toward Star Trek as well. We can be grateful that they both gave us such memorable and enduring work. Great post. Paul. I always liked both shows for they way they addressed the human condition and attacked contemporary issues in a way that both diffused the anger of the day and provoked our thoughts. They both had a gift for that. Is that a new banner image? I like it. Isn’t it? It’s clear Gene was as much of a fan as the rest of us.